PDF (Portable Data Format) is one of the best formats you can use to distribute and share content among friends, family or even to users who want to read e-Books, but do you still use Adobe Reader for PDF documents? Or do you use a paid software to create PDF files? If you answered yes to any of the questions above or if you are not yet benefiting from the full benefits of PDF files, here is a handy list of tools you should definitely use to make the best our of the best portable format for data transmission. Print PDF Files on the Fly Want to print PDF files from any documents? Try out Universal document converter, a tool that will help you save any file to a PDF format or any other image format of your choice. Free and Lightweight PDF Reader Foxit is a lightweight and free tool to view PDF files on your desktop. If you are tired of the slow loading Adobe Reader, this is one tool we definitely recommend you to try out to view PDF Files. Free PDF Creators If you are looking to create PDF files, we recommend you use PrimoPDF a free solution to create PDF files. Free PDF Creator is another free software that will allow you to create PDF files with ease, they also have a option to password protect the PDF files. Online PDF Viewers If you prefer to use online services to handle documents, here is a list of three online PDF viewers we had compiled sometime back. Convert PDF To Images Don’t like PDF files? Here are couple of free softwares that will allow you to convert PDF files to images. Extract Images from PDF Files Want to extract a JPG file from a PDF, try out this tool and you can use extract the original images without having to use a screen capturing tool. Convert WebPages To PDF Want to convert a webpage to PDF file, but unlike us they don’t provide you with a option? Well if you are not provided a option and are using Firefox, this tool will help you save any webpage as a PDF file. Create Flipbooks With PDF Files Are you looking to create Flipbooks from PDF Files, read our tutorial on how you can do it easily with a online service. Convert Document, Images, Text Files To PDF Online Looking to convert different files and documents to PDF files, take a look at these free services that will easily allow you to do that. PDF Add-in For Microsoft Word If you are using Microsoft Word, the PDF or XPS add-in allows you to easily save Word documents as PDF files, definitely must have for Microsoft Office users. PDF Download Extension for Firefox This is quite a useful extension for Firefox users, since it allows you to easily handle PDF files, allowing you to view them online and even convert webpages to PDF files. Edit and Fill PDF forms Online in Firefox The PDFescape extension allows you to easily edit and fill PDF forms online for free. You can also edit and fill forms in PDF using other browsers like IE and Safari. Print Webpages as PDF Files in Firefox PrintPDF extension is a handy tool for Windows and Linux users to print webpages as PDF files. Import PDF Files into OpenOffice.org This tool will easily allow you to import PDF files and use them as documents in the open source software for documents OpenOffice.org. Do you have any other tools to suggest? Do let us know. @Micheal Thanks for the heads up, have included Free PDF Software in the post. Perfect timing. My laptop died on me so I am using the desktop for now, and I couldn’t remember the name of that little cool PDF reader… Foxit, duh, so thanks. You did a great job man! Thanks. I would add http://pdfcreator.com as a creator and http://pdffiller.com as an editor. Great post, this should be dugg. Thanks for this great info on pdf utilities. 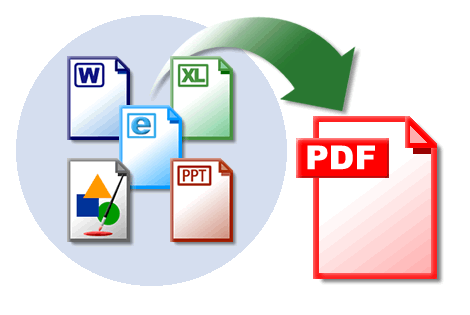 pdf files are in these days and having tools and utilities for using it better is always welcome…. I’ve a big CHM file.. With loads of links a expected in a CHM File..
I’m trying to print it as a PDF..
2. No Freeware found that will surely do it..
3. Need to preserve the Links..